Break out the size 22’s and 6x, but be prepared for some serious studs. 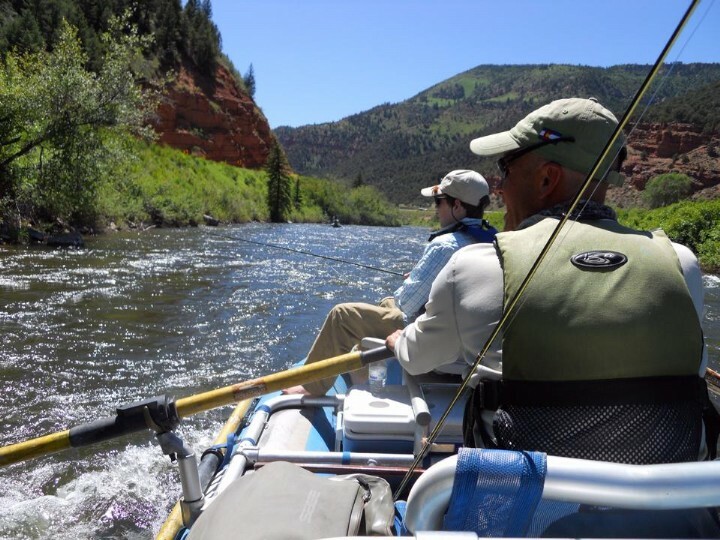 The Vail Valley area is in a perfect central location to get to some of the state’s best tailwaters. To the south/west you’ve got the Frying Pan and Taylor, and to the north/east you have your choice between the Blue and Williams Fork. There are a few others, but those four are my favorites. Spring runoff doesn’t have to cramp your fishing time thanks to these year-round trout sanctuaries. If you’re confused on the difference between a tailwater and a freestone; a tailwater any part of a river that is impounded by a reservoir then flowing out the other side via a dam, while a freestone is a natural free flowing piece of water. Tailwaters have a knack for growing large, but weary fish. The nutrient rich water exiting the dam into the river provides those fish with a constant supply of food. That is part of the reason they are spoiled, choosy brats. The water quality/clarity in tailwaters is beautiful, but also makes for some super selective fish. Although the name of the game is small flouro tippet, small bugs, and stealth don’t be surprised if you get a cloudy afternoon with a solid BWO hatch and a chance at some awesome dry fly action. That being said, don’t be too quick to rule streamers out either. If you have a cloudy day, the fishing is slow, and you’re tired of untangling 6x pull out some meat treats and huck those guys at some promising water. So we have four pieces of water to focus on at the moment; Frying Pan, Taylor, Blue, and Williams Fork. Let’s take a glance at the Frying Pan. 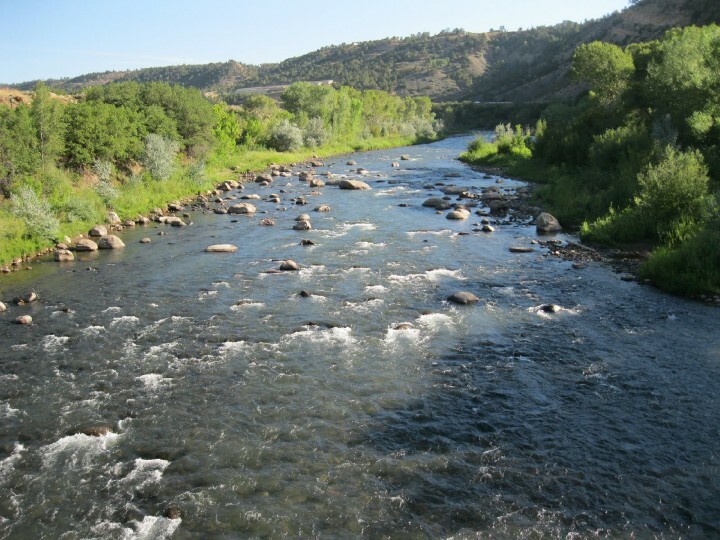 Located right outside of Basalt, CO, The river and it’s surrounding are stunning. There is plenty of public water to choose from along Frying Pan River Rd. The most famous stretch is the Toilet Bowl, located directly underneath the dam. If you are ok with fishing shoulder to shoulder to some of the pickiest fish in the state you can put it in park right there, which I sometimes do. I usually prefer to go down river a few pull offs to where I have a some more water to myself. A few of those toads from the toilet bowl still lurk in the water down river, so be prepared. Next let’s hop on over to the Taylor. The Taylor is the place I had my first truly memorable tailwater experience, so it will always hold a special place in my heart. There is a plethora of public access along County Rd. 742 just outside of Almont, CO. Again, the most talked about stretch is the C&R right below the Taylor Park Reservoir Dam. The fishing can be lights out if you get there early enough to claim a spot that hasn’t been fished through heavily already. I prefer to go a little ways below the Co. Rd. 742 bridge and fish the riffle runs, or pocket water as opposed to the slow, deep runs. A decent amount of very large fish seem to find their way down the river, so always be ready for a fish that will give you an O-face. Don’t discount the water much further down river toward Almont either, it is less technical and has proved to produce. Now let’s take a drive to the other side of town. The good ole Blue. I’ll have to admit, it took me a very long time to admire the Blue and its fish. It frustrated me more times than I can count, but when I somewhat figured it out I knew that if I could be successful on that river I could catch fish anywhere else in the state. The access on the Blue is no problem. Between Dillon Reservoir and Green Mountain Reservoir, just a short trip down I-70 is Silverthrone, CO. In town weaving through the outlet malls there is promising water, but to be successful you need to pull out all the stops. These fish are indicator shy, tippet shy, split shot shy, etc. If these fish were people they would be that kid that was in all of your classes for years, but sat in the back and never said a word even though they may have been the smartest kid in the class. It is, however, Gold Medal water in town so the the fish are there. They also happen to be quite large on a regular basis. Up Highway 9 toward Kremmling there is numerous public access points with some pretty rad water. To get away from the crowds, but still get the Blue River experience that is what I would recommend. Last, but absolutely not least, we will take a hike down to the Williams Fork. Conveniently located right outside of Parshall, CO it’s just a short trip. To get to the river it requires about a 20 minute walk, so it can be a great place to find some solitude from Saturday Denver crowds. It’s a short 2 miles from the dam to the confluence with the Colorado River. Although the fish aren’t always of monumental size like they can be in some of the other rivers we’ve talked about, they are wily, come with a solid fight, and can prove hard to fool. There is a parking area along County Rd. 3 that will dump you onto the trail to the river. I like to walk toward the confluence a ways and then work my way back up through the bends. As always, be aware of public and private property as it can switch from one to the other quickly on and of these river. These four have their similarities, but also quite a few differences. I have a go to tailwater search rig for this time of year. 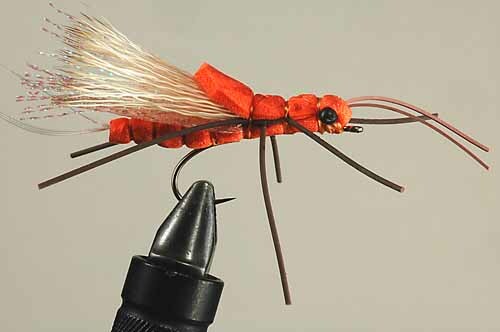 Start with a 5x mono leader, clip off 6 inches, add about 10 inches of 5x flouro tippet, tie on your first bug which should be a semi natural looking bug with some attractor qualities like flash or a hot spot (I’ve been liking an Evil Olive or Higa’s SOS in sz.18 lately), attach a 12 inch piece of 6x flouro tippet to the hook shank of the first fly, then add on your second bug (my first bug of choice in midge rich water is usually a sz.22 red/black jujubee midge). I can’t stress enough the importance of changing flies. The flies mentioned above are some tailwater confidence flies for me, but I’m not afraid to change them out after drifting through a few run likely holding fish without an eat. Split shot is important to the rig as well, I like to put it above the knot I tied to attach the 5x flouro tippet to the 5x mono leader. The reason I do it that way is so it doesn’t slide down unknowingly. Your indicator choice can also make or break your day when dealing with picky fish. I have stated using a small New Zealand indicator, but the key to making it float all day long is to put floatant on it the night before. As far as dry flies go, you’ll just have to play it by ear and see what bugs are coming off. This time of year BWO’s are really prevalent, so it’s always good to have a few of those in the box. I love and Extended Body Parachute Adams, that fly always seems to get the job done for a variety of small dries. Natural is what you should be thinking when picking bugs, but the most important aspect is matching the size of the bugs coming off and fishing to actively feeding trout. Sometimes not the most effective on tailwaters, but still something I carry, and use at least once a day, is a variety of streamers. Sometimes these picky fish will move a great distance out of the way to inhale a fly that moves a lot of water. Color is going to be your deciding factor on these guys. Dark for overcast, bright for sunny is the old rule and it absolutely applies. White/tan, yellow, olive, and black are my four go to colors. It’s not unusual to use all 3 methods (nymphing, dries, and streamers) in one day, so always hit the river prepared. Year-round! That is one of the beauties of tailwaters! They are always a good option, but become irreplaceable during times like runoff. 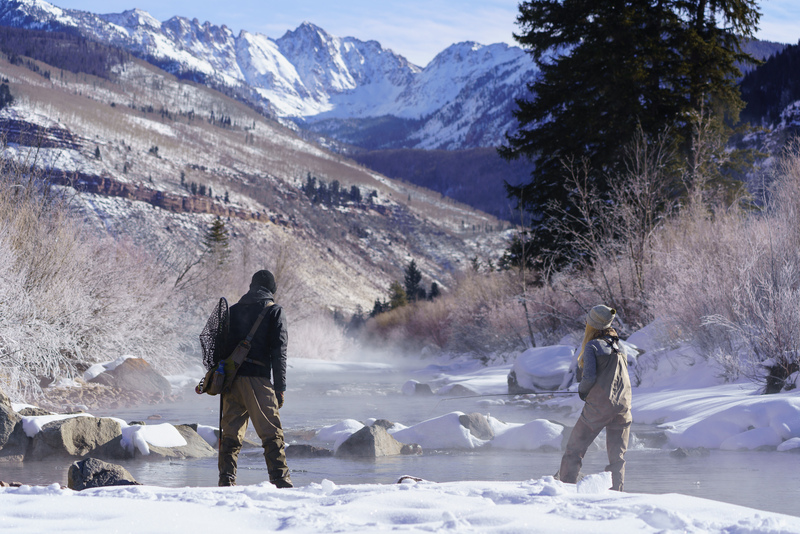 Head over to the shop to stock up on flies, gear, and advice before your outing, and if you’re not in the Vail Valley area check out our online store! Get out there, fish it, and leave it better than you found it.